The capital of the Spanish Island of Mallorca is a beautiful city filled with great architecture portraying its multicultural past and serves as a gateway to the many fantastic resorts on the island. Known for its vibrant and sometimes outrageous party resort, Magaluf, the island has so much more to offer, making it an ideal all round destination. Fantastic Family Resorts – There are lots of fantastic resorts across the island with Palma Nova and Alcudia being among the favourites, both offering some of the best family friendly hotels. Palma Cathedral - One of Europe’s most renowned gothic cathedrals, this incredible structure is well worth a visit as you explore Palma’s waterfront. Vibrant Nightlife – Magaluf’s club offering attracts some of the world’s biggest DJs; especially the standout BCM venue which has seen the likes of Tiesto, Hardwell and DVLM through its doors. To guarantee an amazing time with the family then many agree that a holiday to Mallorca is a great choice. The resort of Puerto Pollenca is a firm favourite for a relaxing and laid back break which offers beautiful beaches, nice places to eat and enough to keep everyone occupied. There is so much to do to make it a perfect family getaway: explore the Caves of Drac – one of the largest underwater caves in the world, enjoy Mallorca’s numerous water and theme parks on offer, or spend an afternoon horse riding through the beautiful island countryside. Stay within Palma itself for a fantastic, sophisticated and intimate city break for a different taste of the Island, surprisingly still underrated by mass tourists. Head down to the waterfront where you can see the breathtaking Palma Cathedral, one of Europe’s most renowned gothic cathedrals. 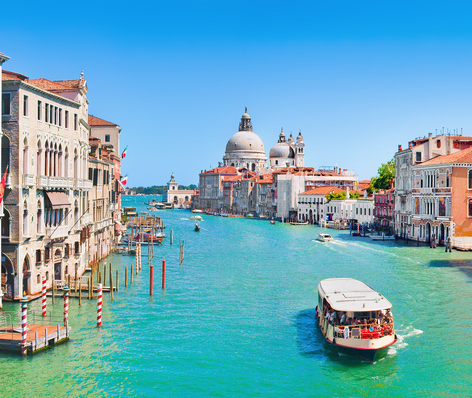 Stroll through the narrow lanes of the old town before stopping at one of the many restaurants and cafes or try the award winning ice-cream at the famous Giovanni L ice-cream parlour. Many younger tourists flood to the hugely popular and lively resort of Magaluf in the summer months for its amazing nightlife and party atmosphere. With great clubs, fantastic weather, beautiful golden beaches and inexpensive food and drink, it is easy to see why it appeals to those looking for a party holiday. Offering such a variety of experiences, Mallorca packs a lot into a relatively small island so it is understandable why many view the island as a perfect destination. For further information on Palma airport, connections to the city, and assistance, please see this page here.